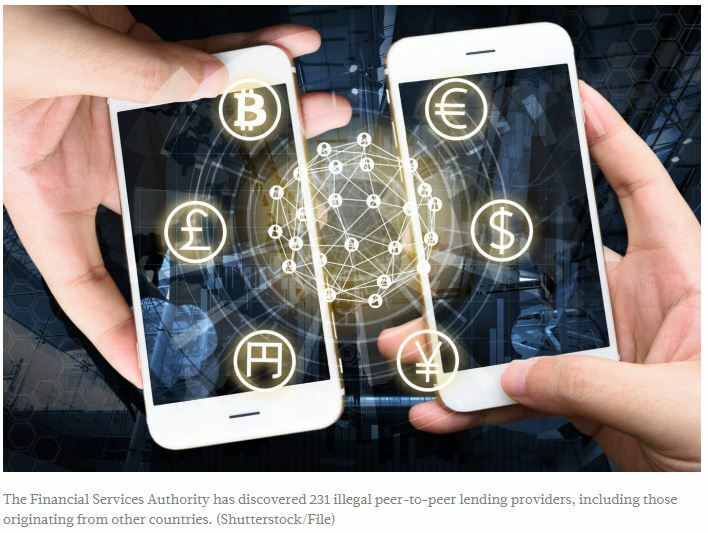 The Financial Services Authority (OJK) has found that 231 illegal peer-to-peer lending (P2P) providers, including those from other countries, have been operating in the country since January. The OJK reported its findings on Wednesday, revealing that the lenders were based on websites, applications uploaded to the Google PlayStore and Instagram. OJK investment alert task force chairman Tongam L. Tobing said seven unlicensed P2P lenders were found on Instagram. “They posted their phone numbers on their Instagram profiles. They didn’t use any websites. We have tried calling them, but they kept changing their numbers,” he said. Some of the unlicensed lenders originated from other countries, including South Korea, Russia and China, the third of which accounted for around 7 percent of the firms, Tongam said. The OJK is working closely with the Communications and Information Ministry and Google to block the lenders’ applications and accounts. The National Police’s criminal investigation department is investigating the lenders. The OJK and other authorities have found it difficult to stop the illegal activity as the lenders often create new applications and websites under new names. “It’s our task to monitor these unlicensed lenders every day to ensure that the lenders’ operation will improve people’s welfare, not merely rake in profits by applying high interest rates,” he said. Tongam said the OJK had received complaints from borrowers of unlicensed lenders who said they were intimated or faced sexual harassment from the lenders after failing to return money on time. Unlicensed lenders tend to charge high rates, Tongam said, making it difficult for borrowers to pay back the money. “We encourage borrowers who have faced any kind of intimidation from lenders to report to the police,” he said.